ince 1942, the famous New York gallery, Portraits, Incorporated, has offered to the American public (as their ads have said) "your choice of today's foremost portrait painters and sculptors." The list of distinguished artists represented includes virtually every noted American portraitist of the past seventy years. 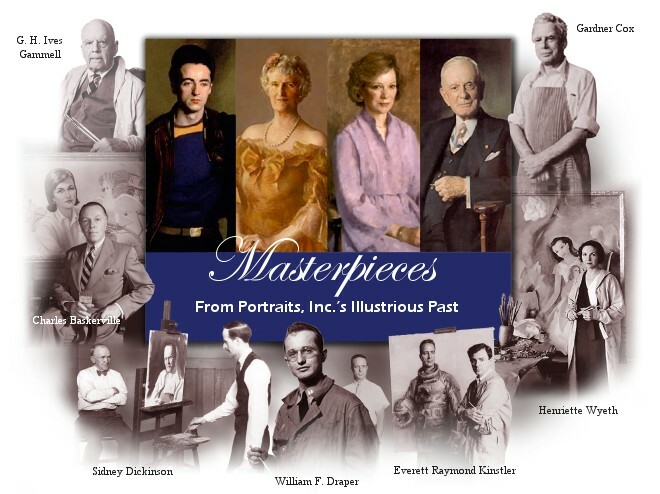 In addition to the artists pictured here, the list includes giants of the past: Andrew Wyeth, Albert Murray, Robert Brackman, John Koch and Samuel Edmund Oppenheim, as well as busy contemporaries such as Daniel Greene, John Howard Sanden, Aaron Shikler, Nelson Shanks, Burton Silverman and many more. In this richly-illustrated screen presentation, Portraits, Inc. pays tribute to this heritage of American portrait art. Masterpieces by these and other artists will be shown, presented by John Howard Sanden, himself a 45-year veteran of the world of portraiture. The presentation will include fascinating details regarding the creation of these masterworks of American portrait art. Date and New York location to be announced. he Portrait Institute is pleased to present this new 58-page portfolio of portraits by John Howard Sanden, with 24 new portraits, reproduced in high resolution images on highest quality artists paper, many with large closeup details. The page size is 12½ by 9½ inches. The portfolio features a three-page centerfold reproduction of Mr. Sanden's ceremonial painting of His Imperial Highness the Garsan Fulani of Kano. 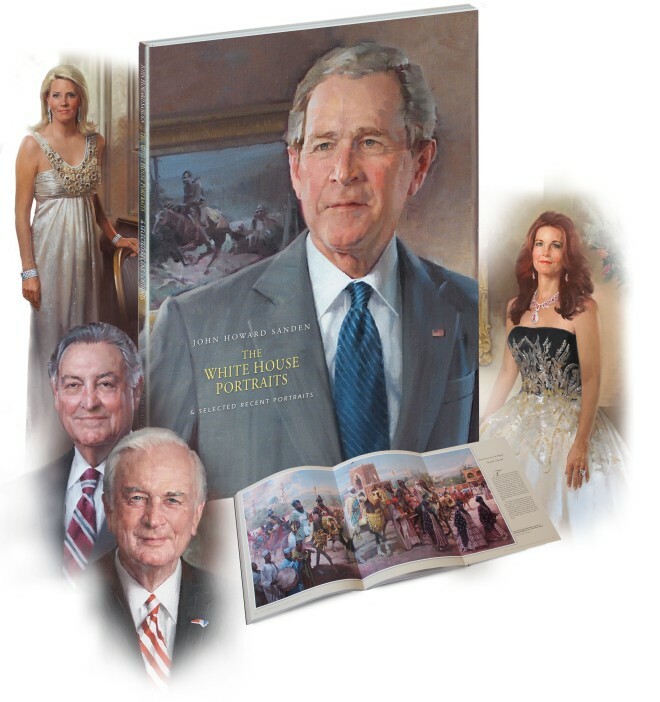 Also included are the official White House portraits of President and Mrs. George W. Bush, plus pictures of the East Room unveiling and scenes of the two paintings in-progress.